Brian and Diarmuid asked us to let you know about their new Stroke Technique Courese, this is not a CTC event so contact them directly. Swim Stroke Technique Course Wednesday 24 April 2013. We cater for ALL freestyle swimming abilities.Last course before the summer. A new season of swim classes, for all levels of Triathletes, will commence on Wednesday April 24th at 8pm. The course will run for 6 weeks at Lota pool, Brothers of Charity, Lower Glanmire Road, Cork. (40min classes). The classes will improve your stroke and enable you to swim more efficiently – and as a result, faster. We will also give you advice on how to train correctly and smartly (Interval Training). The course will be run by Brian Clifford[ Level 3 Coach Level 2 Teacher] and Diarmuid Herlihy [Level 2 Coach Level 2 Teacher ] Brian swam for Ireland in the 1972 Olympics and currently coaches the Cork High Performance squad. 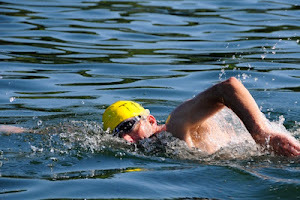 Diarmuid is the fastest Irishman to swim from Europe to Africa (Gibraltar Straits – 2007)and has been Involved in open water swimming for many years. Both are involved in Teaching and Coaching swimming and are Licensed & Insured by Swim Ireland.